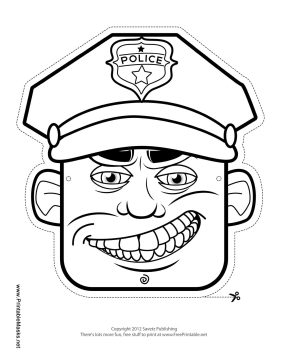 Color in this charming police officer mask, which includes a big cop hat and badge. This mask will be a great part of any cop costume. This mask is free to download and print.